The biggest challenge for start-ups today is arguably getting exposure. Although there are a broad range of marketing tools available towards achieving this goal, small businesses often lack the financial muscle to effectively exploit these options to the best of their advantage. If you are starting a small business, however, the good news is that there is some reprieve. Mobile marketing is not only an effective and results-oriented marketing tool but it is also cost-effective and accessible to small and medium scale enterprises. The following are five innovative mobile marketing ideas that you can explore to give your new business more exposure. Mobile Apps – If you have the resources to develop a mobile app for your start-up business, go for it. A business mobile app should basically allow users to access your website and order services or products. The app should also provide the location and directions to your store. There aren’t any standard rules when it comes to developing mobile apps for business; the most important thing is to develop an application that works for you and is popular amongst your target customers. Mobile Based Discount Codes and Coupons – Attracting new customers is the essence of marketing, yet getting your current customers to spend more can be a good way to keep the revenue streaming in. The idea of offering mobile based discount codes and coupons is simply designed to inspire more spending. In addition to this, mobile based coupons are redeemed ten times more than other web based or printed codes. Mobile Based Contests – Mobile based contests and polls can help you create a good response from your would-be and current customers. Mobile based contests and polls also provide a great opportunity for customers to engage with you and your business, which in turn develops long-term (and stronger) relationships. In the grand scheme of things, long term customer relationships help to build customer loyalty, which ultimately results in better sales. SMS or Text Messaging Campaigns – Text message marketing is a perfect and personalized option that as a start-up you can explore when trying to establish brand recognition. The main reason you cannot afford to miss out on SMS marketing is because almost every person with a mobile phone reads a text message in less than three minutes. It’s cost effective and ideal for businesses with limited marketing budgets. The biggest challenge in text message marketing is collecting as many phone numbers as possible legally. One idea on how to build out your list is to run a competition where customers who shop with you get a chance to win something if they offer their contact details. SMS Alerts and Updates – Building customer loyalty is an absolute necessity and is always the ultimate goal in marketing. Offering SMS alerts and updates to your customers regarding discounts, new arrivals or sales makes them feel in touch with your business and quite often, such updates always lead to an action which may include an inquiry – or better yet, a purchase. 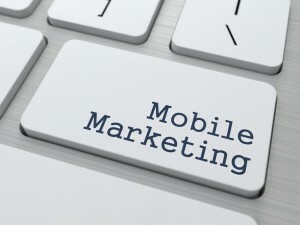 Using mobile to market and promote your business is no longer a “nice to have.” It’s a necessity. The tips highlighted here should give you a perfect start in your mobile marketing campaign – and our hope is that your results will be amazing.